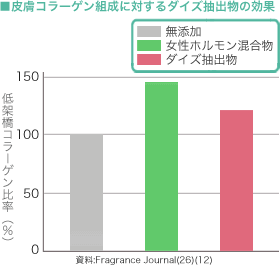 小島 弘之, et al（1998）「最近の植物抽出物―コーヒーとダイズ抽出液」Fragrance Journal(26)(12),75-80. 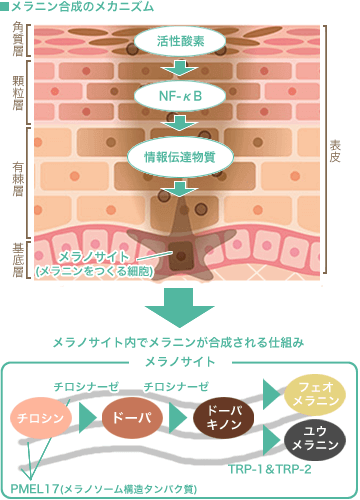 Uzuka M, et al（1981）「Induction of hyaluronic acid synthetase by estrogen in the mouse skin.」Biochim Biophys Acta(673)(4),387-393. LARRY M. WAHL, et al（1977）「Effect of Hormones on Collagen Metabolism and Collagenase Activity in the Pubic Symphysis Ligament of the Guinea Pig.」Endocrinology(100)(2),571–579.